In upholding the IRS’s disallowance of the charitable deduction, the court held the requirement to disclose cost basis information, when that information is reasonably ascertainable, is necessary to help the IRS effectively identify overvalued property. Belair did not exclude the information because it was not readily ascertainable. Instead, this was a conscious decision not to supply the required information. Therefore, Belair did not either, strictly or substantially, comply with the information requirements of Section 170. II. Final Regulations Impose New Substantiation Reporting for Charitable Contributions. In July 2018, the IRS issued final Section 170A regulations. These regulations relate to substantiation and reporting requirements for cash and non-cash charitable contributions. Although the final regulations follow the 2008 proposed regulations, there are some startling differences. For example, the final regulations state a fully completed Form 8283 signed by the donee does not satisfy the contemporaneous donee acknowledgment requirements of Section 170(f)(8)(B) because the form contains only some of the information required in a contemporaneous donee acknowledgement. Further, if an appraisal is required to be attached to a tax return for the contribution year, the final regulations state the same appraisal must be attached to the returns for all carryover years. Treas. Reg. § 1.170A-16(f)(3). An example is where there is a large non-cash charitable contribution that exceeds 30% of the donor’s AGI for the contribution year. This is a real trap for the unwary. III. Charitable Contribution Fails Substantiation Test. In Davis v. Comm., TC Memo 2018-56, Mr. Davis was the president and senior minister of a small church. Mr. Davis claimed charitable contribution deductions for certain non-cash contributions to the church. A donee acknowledgement letter was signed by Mr. Davis as senior minister and president, but the letter was not issued contemporaneously with his contributions. Also, the letter failed to report the date and location of the contributions and a description of the property donated. IV. No S Corporation Basis Increase for Intercompany Loans. In Meruelo v. Comm., TC Memo 2018-16, Mr. Meruelo owned 49% of an S corporation named Merco. In 2008, Merco incurred a loss of over $26 million, 49% of which was allocated to Mr. Meruelo. The IRS disallowed a substantial portion of the deduction because Mr. Meruelo did not have sufficient basis in his S corporation stock. Mr. Meruelo contended he should get basis credit for inter-company loans made between various affiliated entities under the back to back loan theory or under the incorporated pocketbook theory. The court, however, stated for the back-to-back loan theory to prevail, the indebtedness of the S corporation must run directly to the shareholder. Therefore, any loans between the affiliates and Merco could not be recast as loans to the shareholders followed by loans from the shareholders to Merco. Here, there were no promissory notes or other evidence of indebtedness of loans to the shareholders nor was there any evidence Merco and the affiliates intended to create loans to or from Mr. Meruelo. The court agreed with the IRS that the incorporated pocketbook theory did not apply because although Mr. Meruelo was a shareholder of Merco and Merco’s affiliates, there were other shareholders of those entities. In the past, courts have applied the incorporated pocketbook theory only where the taxpayer had a “habitual practice of having his wholly owned corporation pay money to third parties on his behalf” (Broz v. Commissioner, 137 T.C. 46, 62 (2011)) and where the S Corporation shareholder was the sole shareholder of the corporations involved. V. No Basis Increase for Loan Guarantees even after a Loan is Called in Full. In Phillips v. Comm., 121 AFTR 2d. 2018-1776 (11th Cir. 2018), Mrs. Phillips was a 50% owner of an S corporation that developed and sold real estate. In 2007, after the S Corporation defaulted on significant loans, the corporation’s creditors sued Mrs. Phillips and were awarded judgments in excess of $100 million. Mrs. Phillips took the position that once the loan obligations were reduced to judgments against her, she was entitled to increase her tax basis in her S corporation stock by the guaranteed debt. The Court of Appeals upheld the Tax Court’s ruling that under the economic outlay requirement, Mrs. Phillips would not be entitled to any basis increase for her loan guaranties until she actually made payment to the corporation’s lenders. VI. S Corp Shareholder Not Entitled to Tax Basis for Third Party Loans. In Hargis v. Comm., 121 AFTR 2d 2018-2206 (8th Cir. 2018), Mr. Hargis owned 100% of several S corporations that operated nursing homes. Mrs. Hargis owned 25% of several LLCs that owned real estate and equipment used in operating nursing homes. The LLCs leased those assets to certain nursing home operators, including Mr. Hargis’ operating companies. Mr. Hargis was a co-guarantor of third party loans to his S corporations. Some of Mr. Hargis’ profitable companies made inter-company loans to other unprofitable companies owned by him. Not surprisingly, the Court of Appeals upheld the Tax Court’s ruling that Mr. Hargis could not increase his tax basis in his S corporation stock by the amount of any co-guaranteed debt to the S corporations. The court also held Mr. Hargis could not increase the basis in his S corporation stock by the amount of the inter-company loans. VII. S Corporation Shareholder Satisfies the Inconsistent Treatment Test. In Rubin v. U.S., 122 AFTR 2d 2018-5979 (9th Cir. 2018), Mr. Rubin owned 100% of an S corporation named Focus. By 2000, Focus was in serious financial difficulty and placed in involuntary bankruptcy. The bankruptcy trustee filed Focus’ 2000 tax return. Mr. Rubin believed the trustee incorrectly reported almost $67 million of cancellation of debt income and failed to write off $23 million of bad debt expenses. Mr. Rubin initially filed his personal tax return consistently with that of the S corporation. However, he later filed an amended personal return and included a statement that described how his income flowed from Focus and how he disagreed with the tax return filed for Focus by the bankruptcy trustee. Mr. Rubin even attached a pro forma amended tax return for Focus for 2000 that reflected the different treatment of bad debt expenses and the cancellation of debt income. He also attached a pro forma Schedule K-1 showing the income he believed should have been reported to him. The IRS rejected Mr. Rubin’s amended returns because he only identified how his amended returns were different from his original returns rather than how his amended returns were different from the corporate returns. Also, the IRS argued Mr. Rubin’s amended returns should be rejected because he failed to file Form 8082, Notice of Inconsistent Treatment. According to the Court of Appeals, however, although Mr. Rubin failed to attach the Form 8082 to his return, the information submitted by Mr. Rubin with his amended returns was sufficient to apprise the IRS of how and why his amended returns differed from the S corporation returns filed by the bankruptcy trustee. Thus, the court held Mr. Rubin met the requirements of Section 6037(c). VIII. Severity of Shareholder Dispute Did Not Deprive a Shareholder of his Economic Interest in the S Corporation. In Enis v. Comm., TC Memo 2017-222, Mrs. Enis was a shareholder of an S corporation called NLS. Mr. Enis was also a partner in a consulting firm that agreed to provide consulting services for NLS in exchange for NLS’ agreeing to pay a monthly consulting fee and issue shares of NLS stock to the owners of the consulting firm. When NLS and the consulting firm initially began discussions, NLS provided the consulting firm with its financial statements. Those financial statements showed a liability owed to Dr. Ginsburg of almost $7 million arising from an initial loan made by Dr. Ginsberg to NLS. Over time the relationship between Dr. Ginsburg and the consulting firm shareholders deteriorated. Dr. Ginsburg refused to allow the NLS shareholders to enter the NLS premises and began withholding financial information from the NLS shareholders. Ultimately, NLS stopped paying the consulting fees. On their 2010 tax return, the Enises did not include their pro rata share of the S corporation income. In addition, the Enises claimed a theft loss deduction based on Dr. Ginsberg’s actions. The Tax Court agreed with the IRS that Dr. Ginsberg’s actions did not deprive the Enises of the economic benefit of their NLS shares. Under the court’s previous decision in Kumar, TC Memo 2013–184, unless there is an express agreement between shareholders to transfer economic interest rights from one shareholder to another, mere disagreements between the shareholders, or a deterioration in their relationship, does not deprive one shareholder of his or her economic interest in the S corporation. Thus, the Enises were required to include their pro rata share of the S corporation income on their return regardless of Dr. Ginsberg’s actions. IX. Husband and Wife Unable to Claim Single-Member LLC Status for an LLC Owned by Them. In Argosy Technologies, LLC v. Comm., TC Memo 2018-35, the IRS asserted late filing penalties under Section 6698 against the LLC for the late filing of partnership tax returns for 2010 and 2011. Mr. and Mrs. Petito each owned 50% of the LLC. In response to the penalty assertions, Argosy claimed it was a single-member limited liability company that cannot be subject to partnership penalties. The court ruled, however, there was no question that this was a multimember LLC because, by the parties’ own admission, the LLC was owned by Mr. and Mrs. Petito. Moreover, that the Petitos filed Forms 1065 also indicated this was a multimember LLC. X. Section 6672: the Reasonable Cause Exception and the Unencumbered Funds Trap. In Spizz v. U.S., 120 AFTR 2d. 2017-6719, Mr. Todtman initially formed the law firm that eventually became Todtman, Nachamie, Spizz and Johns, P.C. Todtman, Nachamie and Spizz were the primary owners of the law firm. 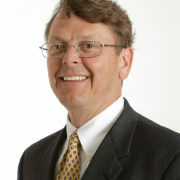 From 2009 through mid-September 2012, Todtman served as the president of the firm. In 2009, the firm’s outside accountant advised Mr. Todtman he had discovered the law firm was failing to pay its trust fund taxes. Mr. Todtman responded that the firm could not pay its taxes and its other bills, and therefore he had to make a hard choice. At that time, Mr. Spizz owned one-third of the firm’s stock and served as vice president. Before June 2010, Mr. Spizz discovered the firm had failed to pay its trust fund taxes that were being withheld. On this discovery, Mr. Spizz and Mr. Nachamie revoked Mr. Todtman’s management authority. On April 2012, Mr. Spizz learned the firm had not paid its trust fund taxes for the fourth quarter of 2011 and the first quarter of 2012. Finally, in December 2013, Mr. Spizz discovered Mr. Nachamie had embezzled over $1 million from the firm’s trust account. The IRS assessed a trust fund tax penalty of $585,000 against Mr. Spizz and Mr. Todtman, jointly and severally, for periods beginning before June 2010, and assessed Mr. Spizz a trust fund penalty of $113,299 for the 2011 and 2012 periods. In the Tax Court proceeding, the court quickly concluded based on their respective significant management roles for the firm, Mr. Spizz and Mr. Todtman met the definition of responsible persons under Section 6672. Next, the court addressed whether Mr. Todtman and Mr. Spizz willfully failed to pay trust fund taxes. Since the case was being decided in the District Court of New York, which is in the Second Circuit, the court noted the Second Circuit recognizes a reasonable cause defense to Section 6672 where a responsible person reasonably believes taxes were being paid. Winter v. U.S., 196 F.3d 339, 345 (2d Cir. 1999). However, the reasonable cause exception is not available if the taxpayer fails immediately to use available unencumbered funds to pay the IRS once the person becomes aware of the unpaid taxes. It was clear Mr. Todtman willfully failed to remit trust fund taxes during 2009 and 2010 while he was controlling the firm. Spizz testified that, before June 2010, he was completely unaware of any unpaid trust fund taxes. When he became aware of these delinquencies in June 2010, the firm’s bank had a lien against all of the assets of the firm, and the firm’s operating account carried a negative balance of $20,000. However, apparently the firm’s bank account became negative only because the firm made disbursements on June 20, 2010 of over $80,000, the same day Mr. Spizz learned of the tax delinquencies. Therefore, Mr. Spizz was liable for all of the trust fund taxes for periods before June 10, 2010. The court further held Mr. Spizz was responsible for all the post-June 2010 taxes as well. Once Mr. Spizz became aware of past delinquencies, it was his responsibility to assure that taxes were remitted for future periods, and failing to follow-up constitutes reckless disregard that meets the willfulness requirement. Thus, Mr. Spizz and Mr. Todtman were jointly and severally liable for the full amount of taxes for periods before June 2010, but only Mr. Spizz was liable for the unpaid trust fund taxes for periods after June 2010. Also see Cherne v. U.S., 120 AFTR 2d 2017-6443, where the Ninth Circuit Court of Appeals held the taxpayer’s funds were not encumbered where the taxpayer was under no legal obligation “to use the funds for a purpose other than satisfying the preexisting employment tax liability,” since restrictions on assets imposed by a creditor do not qualify as legal obligations for purposes of this exception. Nakano v. United States, 742 F. 3d 1208, 1212 (9th Cir. 2014). XI. More About the Unencumbered Funds Issue. In Davis vs U.S., 121 AFTR 2d. 2018-935, the Court of Appeals upheld the District Court’s grant of summary judgment in favor of the IRS on the unencumbered funds issue. This opinion provides an excellent discussion of the majority and minority positions as to the unencumbered funds test. Mr. Davis, a resident in the 10th Circuit, argued he did not willfully pay his secured lender ahead of the IRS because his secured lender had a contractually imposed security interest in all of his assets that was superior to any interest claimed by the IRS. Previously, Mr. Davis had transferred $1.3 million of funds to his primary lender that had a security interest in all of his company’s assets when he discovered his company had unpaid payroll tax obligations. The IRS assessed the trust fund recovery penalty against Mr. Davis for just under $1 million. The court noted there is a split of authority as to whether contractually-imposed, voluntarily-assumed, restrictions on a company’s ability to direct funds constitutes an encumbrance that precludes a finding of willful nonpayment of payroll taxes. The majority rule a company’s voluntary decision to grant a security interest or other control over company funds to a lender does not create an encumbrance on those funds that excuses a failure to use the funds to pay tax delinquencies. It is only legally-imposed encumbrances (e.g. those created by statute or regulation) that excuse payment of tax obligations. See Honey v. U.S., 963 F.2d 1083 (8th Cir. 1992); U.S. v. Kim, 111 F.3d 1351 (7th Cir. 1997); Bell v. U.S., 355 F.3d 387 (6th Cir. 2004); Nakano v. U.S., 742 F.3d 1208 (9th Cir. 2014). Having found Mr. Davis was both a responsible person and acted willfully in failing to use his company’s funds in 2009 to pay the company’s payroll taxes, the court held in favor of the IRS. As stated in Honey, “it is no excuse that, as a matter of sound business judgment, the money was paid to suppliers and for wages in order to keep the corporation operating as a going concern – the government cannot be made an unwilling partner in a floundering business.” 963 F.2d at 1093, quoting Collins v. U.S., 848 F.2d 740, 741–42 (6th Cir. 1988). XII. Criminal Prosecution for Failure to Pay Employment Taxes. Section 7202 provides it is a felony to fail to truthfully account for and pay over trust fund taxes. A conviction under Section 7202 can carry a prison sentence of up to five years. In U.S. v. Snyder, No. 1:17CR507, 2018 WL 4335632 (N.D. Ohio September 11, 2018), the court upheld the defendant’s criminal conviction for failing to pay withholding taxes under Section 7202. Mr. Snyder argued his failure to pay was not willful but instead was caused by the great recession and the existence of an IRS tax lien against the company’s assets. However, witnesses testified Mr. Snyder prioritized payments to his company’s creditors over the payments to the IRS. They also testified he would meet with certain employees each quarter to decide which payments would be made and which creditors would be paid.